Quality black leather is used for this key ring. 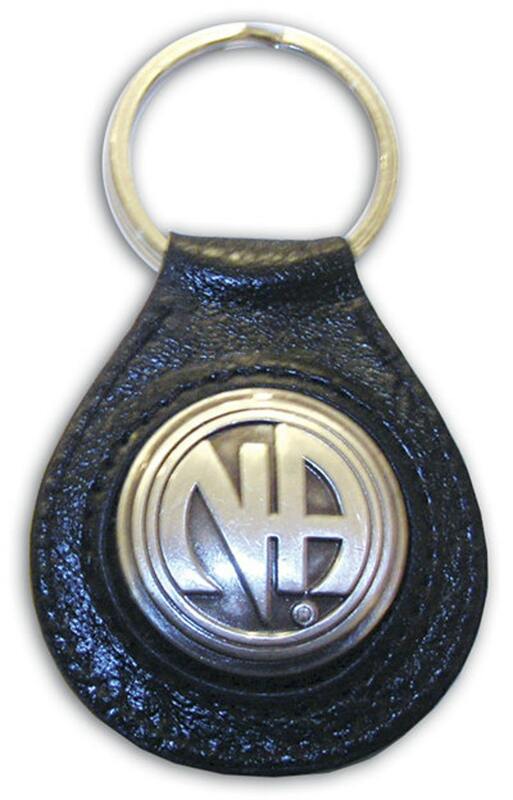 The stitched and padded center holds a silver coated, cast concho displaying the logo for Narcotics Anonymous. Several years ago, I became licensed to create these conchos and apply them to my designs. The concho attaches with a Chicago screw. These key rings or key tags make great gifts for the NA member recognizing their clean dates or as reminders of what works!